With a desire to share my love of the great outdoors, one of many reasons I love the PNW, I embarked on making something useful for camping. I wanted to focus on adding my art and ideas on functional products for folks to use while they are enjoying nature. 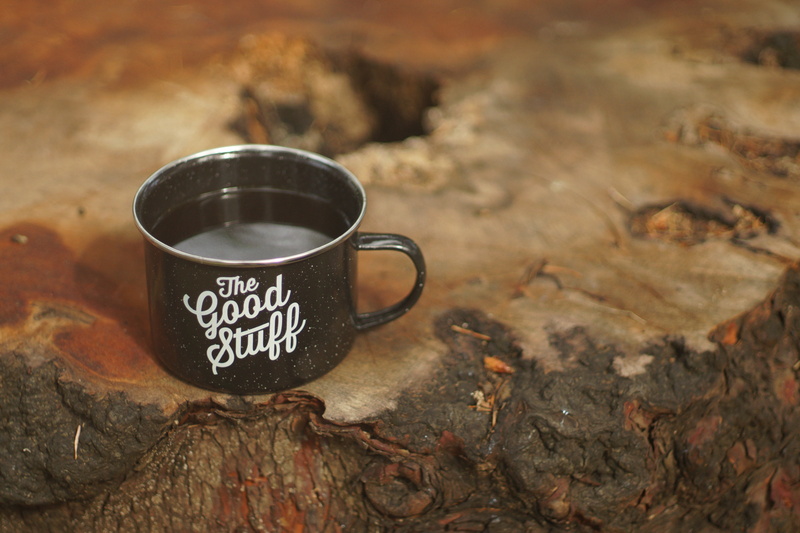 I managed to source the mugs and find a printer to work with to apply the “The Good Stuff” piece I put together. Slightly modified from a font I like using, the idea behind the good stuff is to enjoy what you consider is good stuff.